NIO showcased ES8 at the 2017 Shanghai International Automobile Industry Exhibition. 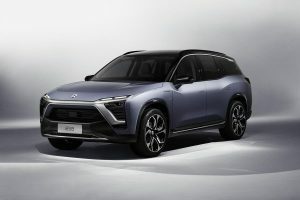 NIO ES8 is a full size 7-seater electric SUV with a 2-3-2 seating arrangement. The ES8 has an all-aluminium body and chassis, front and rear motors with electric all-wheel drive, and active air suspension. The vehicle’s swappable battery will provide a charging experience that surpasses refuelling at gas stations. The manufacturing and supply chain that will produce the ES8 is already in place. The NIO ES8 has been tested for thousands of miles. The vehicle has been tested in Yakeshi in Inner Mongolia, where temperatures can reach -22 degrees Fahrenheit as well as Melbourne and Mildura, Australia where temperatures can reach over 104 degrees Fahrenheit. The ES8’s official launch will take place at the end of this year, with deliveries expected to begin next year. NIO also announced it will begin pre-selling the fastest electric car in the world, its flagship supercar, the NIO EP9. The first batch of six EP9s produced were for investors. 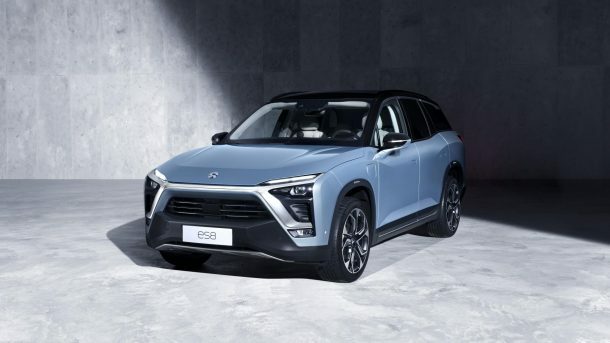 NIO plans to produce a second batch of ten EP9s, and each one will be made to order. The NIO EP9 is priced at 1.48 million USD.